HARRISON, N.J. — Just a few years ago, we enjoyed a soccer boom in the metropolitan area. 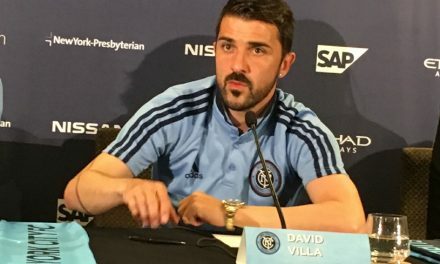 In 2015, New York City FC took its first competitive kick in Major League Soccer behind the likes of David Villa, Andrea Pirlo and Frank Lampard. 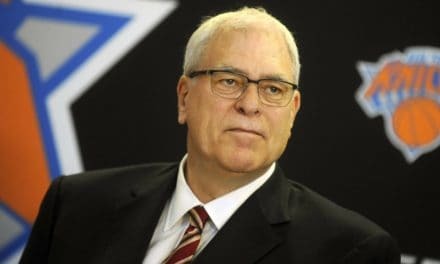 The new team did not fare that well in its maiden season, but certainly generated a lot of excitement. The Red Bulls captured the Supporters Shield and the Cosmos, buoyed by the legendary Raul, won the North American Soccer League title. It got even better in 2016. An improved NYCFC squad, under the guidance of Patrick Vieira, gave the Red Bulls a run for their money for Supporters Shield glory, but the latter prevailed. And the Cosmos won their second consecutive NASL title. Let’s speed forward to 2019 and take the professional soccer temperature of the metropolitan area as of April 7. Let’s see, the ninth-place Red Bulls, the 2018 Supporters Shield winners, have stumbled out to a poor 1-3-1 start. They have lost three successive matches under Chris Armas, the most recent being a 2-1 home loss to Minnesota United Saturday night. With Dome Torrent in charge, 11th-place NYCFC has been a nothing short of a disaster, accruing but four points in five games while struggling to a 0-1-4 mark. That includes a pair of scoreless draws on an atrocious Yankee Stadium field, including Saturday’s result. As for the Cosmos, we won’t know their early-season prognosis until August, when they embark to play in their next professional league, the National Premier Soccer League Founders Cup. Before then they will play in the semi-pro NPSL starting April 27. 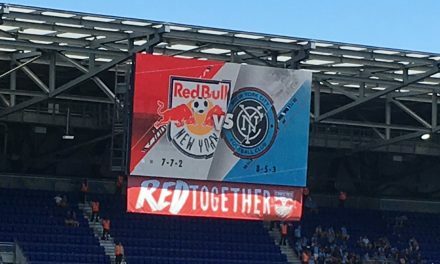 The Red Bulls’ and NYCFC’s records are a combined and an abysmal 1-4-5 start, with eight points out of a possible 30. At the moment, we are going through a soccer recession. If their fall from grace continues, we could call it a depression. But we are getting ahead of ourselves. The slow starts for the Red Bulls and City are worrisome. NYCFC, which had trouble winning even when Torrent took over last summer, can’t kick itself out of a paper bag these days. The team hasn’t been able to score goals, especially after the departure of star striker David Villa to Japan. A good portion of City’s results this season have taken similar paths. They will outplay the opposition, outshoot their foes, but cannot find the net. Brazilian forward Heber, who made his debut as a late-match substitute Saturday, showed promise in limited minutes. But then again, there have been dozens of other foreign forwards who were high on potential but low on goal-scoring celebrations. There have been some rumblings out of the NYCFC camp that Torrent has lost the team. If that is true, expect some of thoses T’s to turn into L’s. And, if that occurs, don’t be surprised if the powers that be in Manchester give him the hook. It might sound like an internal transfer back to the English Premier League team or to another team in the Manchester City empire. The Red Bulls have their own problems. They scored four times in their 4-1 triumph over the lowly San Jose Earthquakes but have struggled against the rest of the league with only two goals in their four other matches. Bradley Wright-Phillips has gotten off to a rotten start with one goal as the Red Bulls have had their problems setting up the striker in dangerous positions. It remains to be seen how Kaku’s offseason disappointment of not being transferred to Club America in Mexico has hurt his performances, but it looks like it hasn’t help. The other theory impeding Wright-Phillips’ goal-scoring prowess is his age. BWP is 34, a precarious age for forwards. Losing a little speed here or some quickness there could be devastating for a high-scoring forward. Perhaps he can find his finishing touch. Both teams’ problems have one common denominator — they are without young holding/defensive midfielders who made a difference in the past couple of years. That would be Yangel Herrera, who was a dynamic force during his short NYCFC tenure before ManCity decided to pull back his MLS loan and lend him to Huesca in Spain. He broke up plays and helped initiate attacks. NYCFC has not found anyone else to replace him. Ditto for the Red Bulls and Tyler Adams, who is turning heads in the Bundesliga with RB Leipzig. Adams had/has the speed and work ethic to be part of the attack and then recover back on defense. Hardly the last word in attacking soccer, the Wappingers Falls, N.Y. native certainly found time to impact an impact. During a seven-pass scoring sequence against Columbus Crew SC in the Eastern Conference semifinals series last year, Adams touched the ball three times. Pro soccer teams in the New York area just don’t fare well or come close to reaching their potential in years ending with nine. In 1979, the Cosmos failed to reach Soccer Bowl, the only time during a six-year period in which they won four NASL titles. They were eliminated in the semifinals. For the Red Bulls, it has been disastrous. They were horrendous in 1999 during the reign of error of Bora Milutinovic and were just as hopeless in 2009, a season after reaching MLS Cup during a Cinderella-like run during the playoffs. Of course they can. There is plenty of time left in the season. 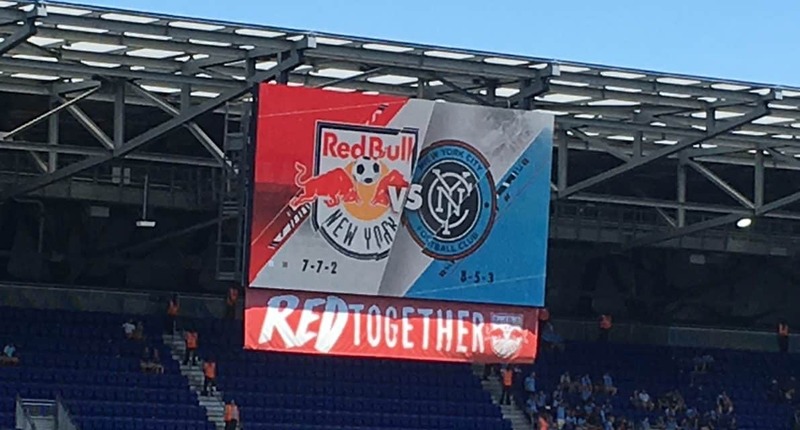 Red Bulls captain Luis Robles reminded the media how the Red Bulls rebounded from that nightmare 1-6 start in 2016 to win the Eastern Conference crown with the third-best record in the league. If I was a betting man, I would put my money on the Red Bulls finding a way out of their doldrums well before NYCFC does. While Torrent has a fabulous background coaching in Europe and as Pep Guardiola’s first lieutenant, we all know of the problems many foreign coaches have faced trying to cope with soccer, American- and MLS-style (with his countless rules and regulations). Quite frankly, unless NYCFC turns it around quickly, I just don’t see Torrent surviving the season. If that is the case, then we could say that City is in a real soccer depression.